Woodland Holiday Park01263 579208work01263 576477fax Holiday & Touring ParkLocated on the stunning North Norfolk coast and set in the depths of 80 acres of peaceful woodland our Park is the natural choice to enjoy a relaxing get away. As a family run business we understand the importance of holidaying together as a family and strive to make your stay perfect in every way. Choose from a range of well appointed 1, 2, 3 & 5 Bedroom properties, including our timber Lodges and Cabins each with their own private hot tubs! 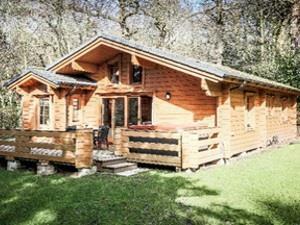 Our modern 3Bed Caravans and, our beautiful 5Bed Blackberry Cottage. All of our properties are fully equipped with all the comforts of home, along with the little extra luxuries that make your stay extra special. Many of our properties are dog friendly so you are welcome to bring your furry friends along too! a takeaway menu so you can enjoy a cosy night in without the hassle of cooking. We offer entertainment most weekends with live music, comedy acts and children’s entertainment; we also have extra large HD TV screens in our bar – perfect for watching live sports and other events. Keep the kid’s entertained with our traditional arcade, games areas and snooker room, or, enjoy the outdoors and use our nature trail to explore the Park and learn more about the local wildlife. Spend the afternoon at our well-stocked fishing lake (must buy permit) or challenge each other to a game of tennis! Our leisure centre with sauna, heated indoor swimming pool & gym (over 18’s only) is open all day for family fun and relaxation. Located on the stunning North Norfolk coast and set in the depths of 80 acres of peaceful woodland our Park is the natural choice to enjoy a relaxing get away. Woodland Holiday Park is perfectly located to enjoy the best of North Norfolk; close to quaint market towns, Blue Flag beaches, National Trust houses, and the historic city of Norwich where you can enjoy museums, art galleries and fantastic high street and independent shopping. Facilities for children: Highchairs available, outdoor play area, children's pool. FreevIew TV, On site snooker room, All major cred / debit cards accepted, Bar & restaurant , Free WiFi, Meals served all day everyday, Barbecue Hut available for Hire Children welcome from any age. From Norwich to Cromer A140, join coast road B1159, site 4 miles south east of Cromer. Go through town centre and follow coast road B1159 towards Mundesley. Go through villages of Overstrand & Sidestrand - Woodland is at top of hill on right as you enter Trimingham. tennis, gardens, fishing, indoor pool, bars. personal assistance always available - all public areas easily accessible as is designated accommodation.